The Freshpark Wheel Kit attaches to any of the ramps for easier movement and storage. Attach them to the side of each panel, up to two per panel can be used, tilt ramp on its side and roll it where you want it. 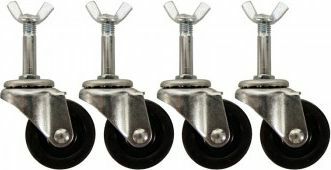 High quality casters set in steel for maximum durability.